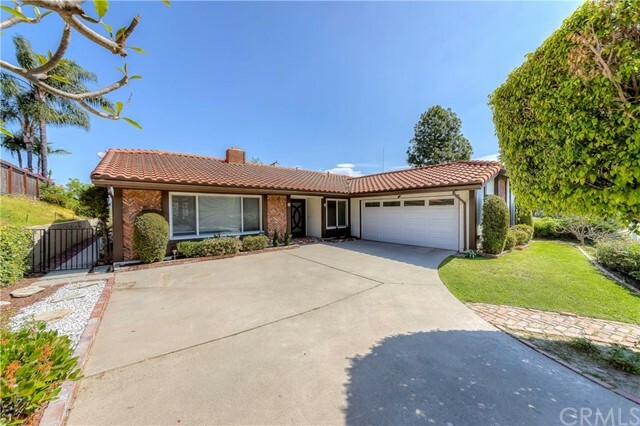 All La Habra homes currently listed for sale in La Habra as of 04/25/2019 are shown below. You can change the search criteria at any time by pressing the 'Change Search' button below. 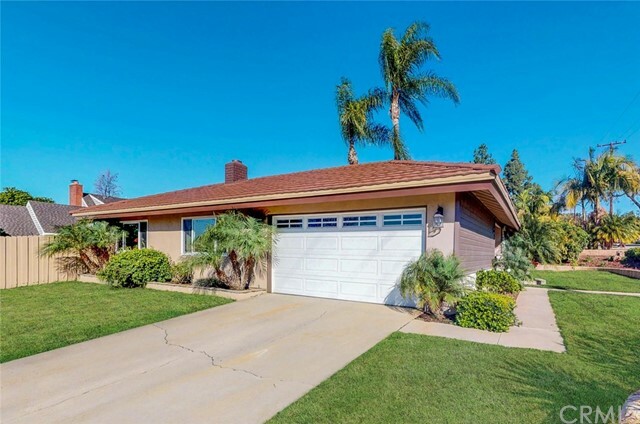 If you have any questions or you would like more information about any La Habra homes for sale or other La Habra real estate, please contact us and one of our knowledgeable La Habra REALTORS® would be pleased to assist you. "WOW!! 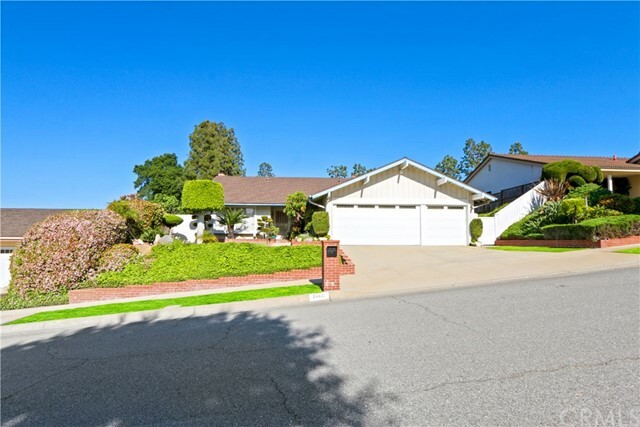 Best location in Westridge, prestigious gated golf community with spectacular view of golf course and city lights. This Exceptional home welcomes you through dramatic entry with wood floor into a luxurious formal living room with cathedral ceilings,grand fire place and formal dinning room with franch doors open to beautiful golf course view. Spacious family room with additional fireplace. Huge master suite features separate retreat with another fireplace plus balcony and forever view of city lights and golf course!!" "The prestigious gated golf course enhanced community, the Point in Westridge. Oversized back-yard with perfectly maintained luscious landscaping. Serene side courtyard and flowing fountain, greenery and seating area. Impressive entryway invites you to a formal living room with voluminous ceilings, large windows, and recessed lights. This property features 4 bedrooms, 4 bathrooms and an option of a den/office or 5th bedroom downstairs. The gourmet kitchen with high-end stainless steel appliances, beautiful granite island with 6-Burner gas cook-top. The family room has a beautiful fireplace to create a very inviting atmosphere. A Huge delightful master suite with 2 large walk-in closets, and seating area. A guest bedroom that rivals many master bedrooms is also an impressive feature. Close to all the shopping, dining, entertainment and great schools. Don t miss out this perfect family home in the highly desirable gated community of Westridge." 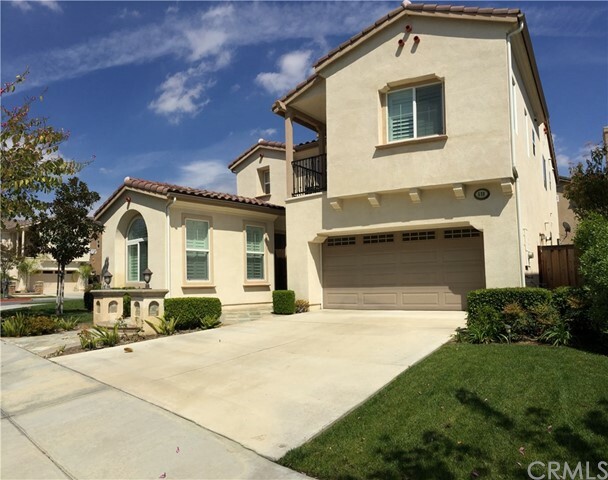 "Largest plan in Westridge, Two master bedrooms (one very large bedroom with 3/4 bath and mirrored closet in downstairs, can be used as home theater, one master bedroom with full bath and double walk-in closets upstairs). Totally upgraded throughout (Granite kitchen counter tops, matching granites on all bathrooms, top quality berber carpet upstairs, wood flooring downstairs, wood shutters on all windows. gated community (3 gates)." 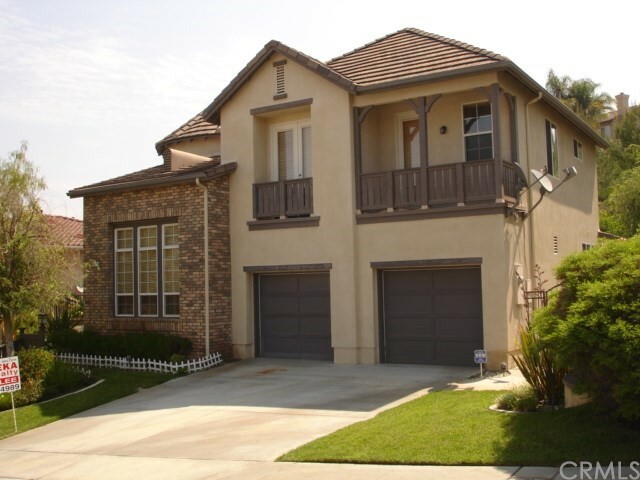 "This gorgeous home located in the gated community of the Westridge, La Habra. House features 4 bed and 4 bath with huge size of great room at second levels. Every room has a bathroom and a shower. Main floor one bedroom and full bathroom. Living room has an Asustrian chandelier by Schonbek brand. There's speaker on the ceilng is connected to the family room, hall way and bed room. Kitchen is full backsplash with tile. Solid maple wood floor in Great room. New Paint inside and outside." "JUST FELL IN LOVE!! 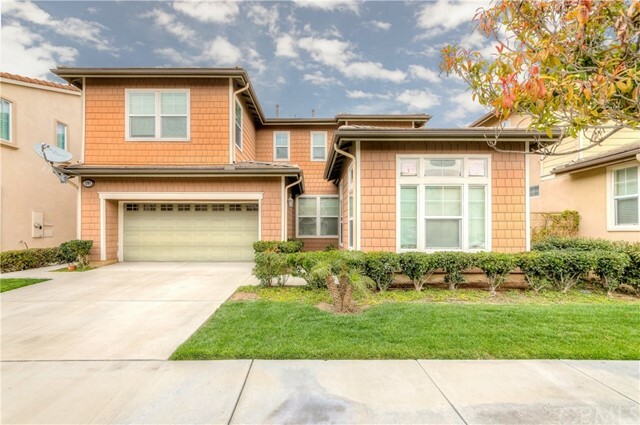 Beautiful home located in a cul-de-sac in the Crest at Westridge Golf Course Community. The formal living room, with dramatic high-vaulted ceilings, is open to the formal dining room, which has a view of the backyard, pool, spa, and mountains. The bright and airy modern kitchen includes an island, which allows for extra storage and seating space, granite counter tops, white cabinets, recessed lighting. The spacious family room is open to the kitchen, and comes with fireplace and a view of the pool, spa, and mountains as well. The master suite features a very roomy walk-in closet and private bath with a separate shower and soaking tub and his-and-hers vanity sinks. The laundry room is conveniently located upstairs, with a folding table, sink top, and plenty of linen cabinets. There is custom paint, crown molding, and wood flooring throughout the interior of this home. The two-story ceiling and windows allows for plenty of natural lighting. The backyard is perfect for entertaining family and friends, especially on summer nights. The home also comes with a 3 car garage, with direct access to 2 out of the 3 garage spots. This gorgeous home, with its open floor plan, is located close to the golf course, shopping center, schools, and restaurants. A MUST SEE!!" "Beautiful views on this West Country Hills Drive home. fully rebuilt in 1989. large rooms, views, super spacious property with views. 4 bedroom, 4 bath. NOTE: the Master Bedroom has a fireplace and large 2nd floor patio also, his and hers bathrooms and separated each with their own bath, closet and bathroom. High ceilings open up to provide open spaces. Family room has fireplace and kitchen island, formal dining room and eat in dining room, 3 car garage plus lots of extra parking." "Prestigious Westridge Gated Community. Panoramic City Lights View Home. Quiet Cul-De-Sac Location. Cathedral Ceiling Living Room. 3 Car Attached Garage. Main Floor Bedroom. Island Kitchen. Freshly Painted Interior. Three Bedrooms Upstairs with a Loft that can be converted to with Bedroom. Hardwood Flooring. Spacious Low Maintenance Backyard. Conveniently Located Close to Golf Course, Restaurants, Parks and Shopping Centers." 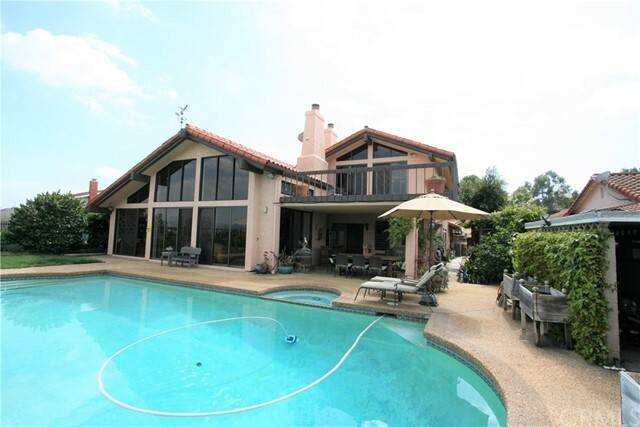 "One of a kind home in the prestigious gated golf community, Westridge. Located in a peaceful cul-de-sac, the location of the home allows for an oversized backyard perfect for relaxing with family and guests. Views of the city along with a gorgeous pool and spa, this truly spectacular home comes with a custom built gazebo that houses an in-table bbq area. Side yard is also very spacious for storage or vegetation. 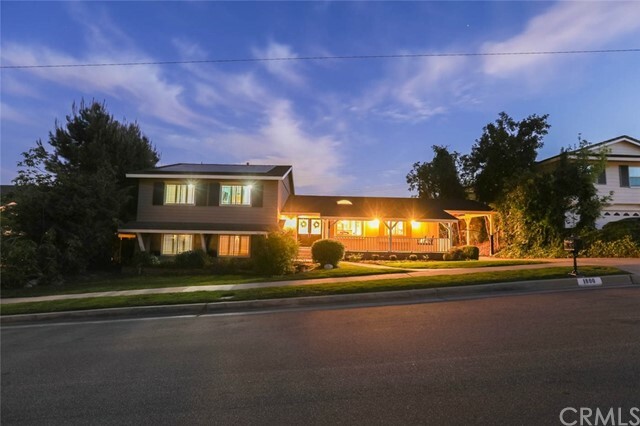 Renovated with new windows, custom hardwood floors throughout the home, granite tops in all bathrooms and kitchen, this home is topped with all stainless steal appliances. Also, Tesla-car ready. The unique space and land makes this different from all other homes in the community." "Gorgeous and the largest, most popular Plan 3 in the exclusive community of Tapestry. Tastfully upgraded and same like Model Home this beauty has a great open floor plan by Shea Home. Walk into the expensive formal living/dining room with alluring wood floors which gives the home an elegant and rich feel. Spacious kitchen comes equipped with top of the line stainless steel GE Profile professional luxury appilances, built in refrigerator, center island and walk-in pantry, upgraded cherry cabinets. 4 bedrooms are up and 1 downstairs for a total of 5 bedrooms. Very desirable large master suite with fireplace, two walk-in closets and separate shower/oval bath tub. Good size secondary bedrooms and 4 beautifully upgraded bathrooms. 2 1/2 car garage(you can fit a motorcycle or have a large work area) and cozy size beautifull back yard. What sets this home apart is the prime location and this affords the homeowner peace of mind any road noise anf traffic. Conveniently located near restarants and shopping centers. Association includeds pool, spa, basketball court and playground. This home is turnkey and move-in condition. MUST SEE TO APPRECIATE!!" "Welcome to your dream home with a Fantastic Panorama View!!! 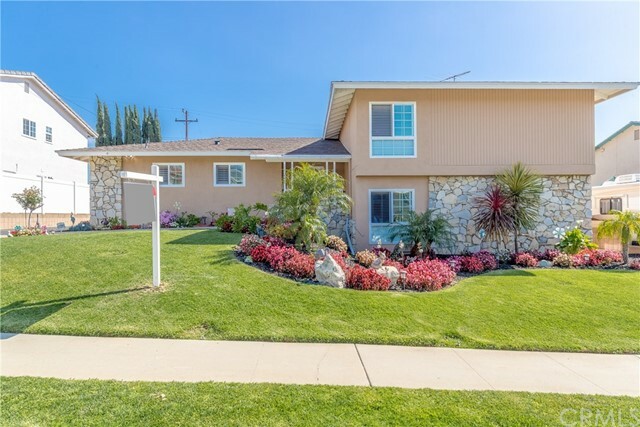 Highly desirable Location in the Country Hills West Neighborhood in North of Orange County. The Gorgeous One-story home has Great Floor plan, while the Double entrance doors invite you in along with a Wide-Open Concept and Spectacular View of City, LA Downtown and Mountains. Master bedroom allows you to access beautifully maintained, back yard directly to Enjoy a view & Relax. Totally upgraded 4 bedrooms & 2 Bathrooms, with One of room possibilities can be a open type of Gym or Office. Well-designed kitchen with view that includes an Induction Stove, Refrigerator with Internet and Beautifully installed Counter top with the owner s special sense. New air condition including Duct system and insulation, which costed $20,000 recently. Easy maintenance hardwood laminate & various patterns Travertine Field Tile floors throughout. Super Bright home, Recessed lights for all areas. Double pane windows, New Fresh paint, Laundry room inside, 2 Car garage, & Great Neighborhood. Close to a golf course, shopping center, restaurant(s) and More. So what are you waiting for? Come and get your future home today!" 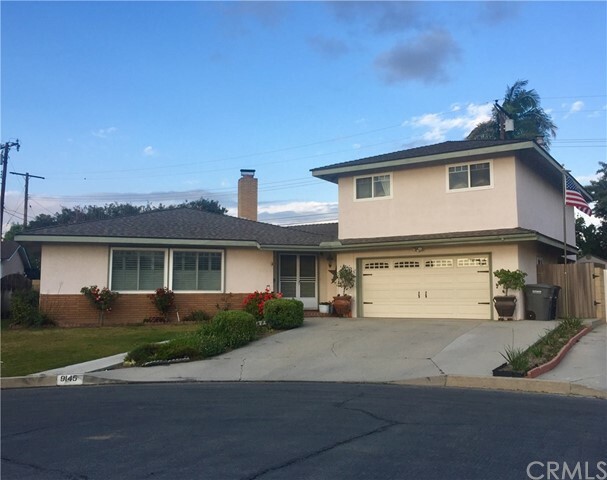 "Stunning tri-level 5-bedroom, 3 bath home located in the well-established North Hills community of La Habra. The moment you enter this warm & inviting home you can t help but feel this is it; this is Home! Imagine a home that offers the unique feature of having the possibility of a perfect private accommodation for a parent, or adult child; it includes 2 bedrooms, a bath off the family room w/ gas burning fireplace as well as a private entrance or if at this time having 5 bedrooms & 3 bathrooms is just what you are looking for in your dream home, you have certainly found it! This lovely home features the following amenities: spacious foyer, a formal living room w/ fireplace, formal dining room, large family room w/ fireplace & wet bar, beautifully recently remodeled kitchen w/ granite countertops that includes a granite waterfall, 5 burner electric range top w/ downdraft, stainless steel appliances, recessed lighting, engineered tile in all 3 bathrooms & engineered wood throughout the rest of the home, plantation shutters, alarm system, central air & heat, 50 year composition roof, double paned windows including three sliding doors, port-cochere, double detached garage, enclosed yard, wrought iron gates & decorative wrought iron railings as well as a putting green (for those golfers who love practicing putting) salt water pool, Oh & magnificent views of the July 4th fireworks from all directions as well as Disneyland nightly fireworks & so much more .."
"Fantastic remodeled tri-level, North Hills home. 8 steps up leads to three bedrooms,one being a master bedroom and remodeled master bath, and 8 steps down leads to a family room, two bedrooms, and one full bath. Main floor has a remodeled kitchen with a Wolf 6 burner stove top, Kitchenaide double oven, quartz counter tops along long island, white porcelain farm sink, custom pullout drawers, and glass tile backsplash to name a few. Inside laundry, laminate flooring, upgraded electrical panel, custom shutters throughout, carpet in den, wood floors on top level, and tile in bathrooms. Recessed lighting, crown molding, baseboard through out, and two fire places. The home also includes new central air and heating unit, and a tankless water heater. The backyard has room for a bar/gazebo, a separate sitting area under new white wood aluminum patio, a playground, cemented patio overlooking large grass area maintained by an automatic sprinkler system, and security motion lighting outside. Local to shopping, freeways, and easy access to local cities. A must see." 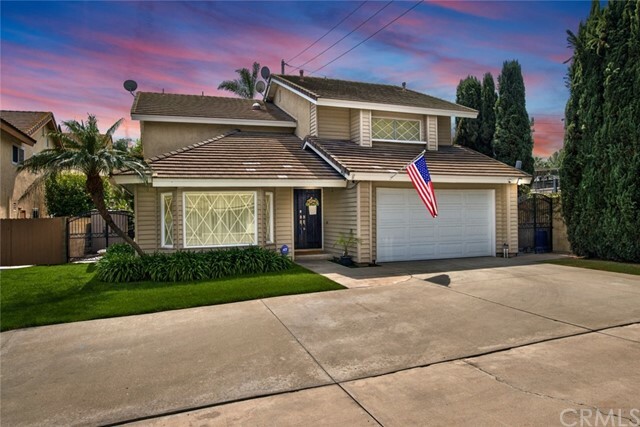 "A Beautiful Two-Story Residence nestled in Well-Established La Habra Neighborhood. This home features double pane windows, new heating and A/C, Alarm system, updated plumbing, updated electrical, newer interior paint, new water heater, and new water softener. Upgraded kitchen with granite countertops with new appliances including double ovens, updated lighting and includes an eat in dining area which overlooks the spacious backyard. The large laundry room has been updated with newer cabinets, sink and porcelain floor and plumbing updated. All bathrooms have been updated with new glass shower doors, tile surround, granite counters, travertine flooring. Relax and entertain in the spacious backyard which includes a covered patio and large grassy backyard. Gas line has recently been added to cooktop/stove. It can easily be switched to a Gas Cooktop." 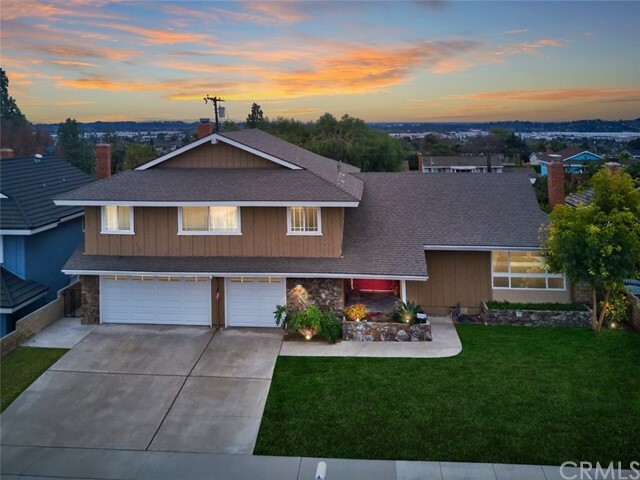 "Gorgeous, upgraded Home in Prestigious Country Hills Neighborhood located on a Cul-de-Sac. Very Peaceful, serene & Private. Double door Entry - Formal Living & Dining space with sliding glass doors provide access to the entertainer and manicured Backyard. 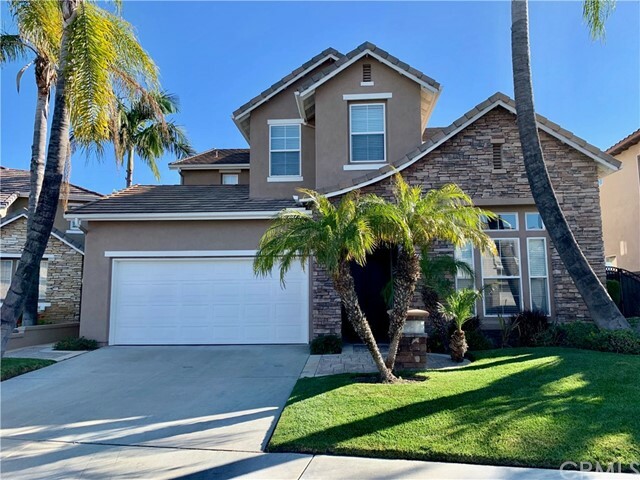 Automatic sprinklers Throughout the front and backyard.Walk through to the Kitchen with eating nook open to the enlarged family room with Fireplace - Guest Bathroom - Laundry room with Washer and Dryer - Direct access to 3 car Garage. Kitchen with newer stainless steel appliances and granite counters. Downstairs flooring features brand new Wood like Porcelain Tile. Carpet in the bedrooms. Master Bedroom with vaulted ceiling, Fireplace, 1 Walking closet + Extra glass door closets. Spacious Master Bath with heated jetted tub.THIS IS AN ENTERTAINERS DREAM HOME." "This home has 4/4 bath with the living space of 2893 sq. There is gate community with pool & playground. Located in a quiet neighborhood." "Beautiful home on Cul-de-Sac that is perfect for Entertaining! 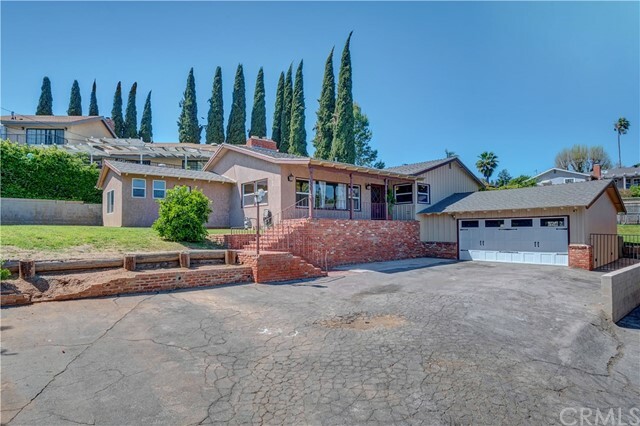 This updated home features whole house water filtration system, Newer Heating and A/C, Skylights and Solar tube, Auto Gas Shut off, newer roof, recessed lighting and natural lighting throughout the home. Open Concept kitchen includes kitchen island, gas stove with oven, microwave, eat in dining and plenty of storage. The kitchen is open to the family room with a cozy fireplace and AV system. Separate Dining room is open to the spacious living room in the front of the home, which is perfect for entertaining guests. The Curved Stairway leads you upstairs which features Extra Large bedroom that can be converted into Game Room or Bonus room, additional bedroom and full bath. Extra Large Master Suite includes Walk-In Closet and mirrored closet, soaking tub, upgraded bath with dual sinks, walk in shower. Entertainers Backyard Oasis with BBQ area with BUILT-IN STORAGE, SINK AND REFRIGERATOR, beautifully landscaped tiered backyard with Waterfall and newer EXTRA LARGE covered patio with ceiling fans and skylights. 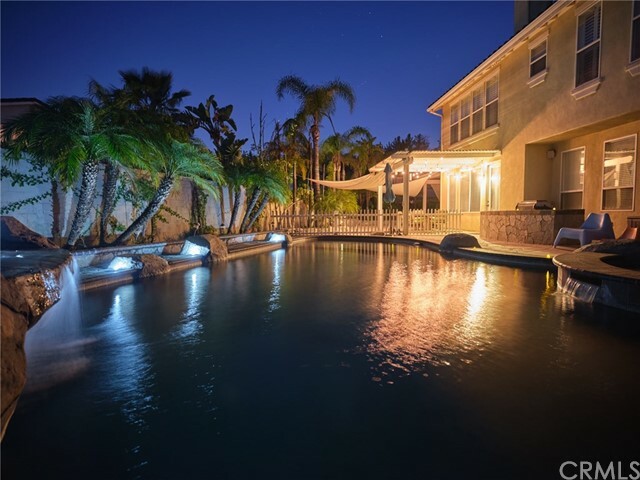 This backyard also includes Stadium lights to showcase the backyard at night." "FABULOUS, UNIQUE PROPERTY NORTH OF WHITTIER BLVD, IN MACY AWARD WINNING SCHOOL DISTRICT!!!! This property features a 3 bedroom, 2 bath home plus a 2 bedroom, 1 bath guest house over the garage. This amazing home welcomes guests to a private living room, large and modern style kitchen next to the dining area, large master bedroom with its private master bathroom, a large backyard with patio area and an extra large laundry room. It is located at the end of a private cul-de-sac street. TRULY A MUST SEE!!!!" "Fully approved Probate Sale!! No court confirmation required. This property is a gorgeous two story home located in the prestigious Tapestry gated community. This beautiful home has 4 bedrooms and 3.5 bathrooms plus 2 dens. The perfect sized 2 dens are downstairs and you can use it as a bedroom or office room. This home comes with a bright and beautiful open floor plan. The home offers a formal living room, dinning area and a large open concept kitchen which opens up to the eating area and a spacious family room with a fireplace. The gourmet kitchen features granite counter tops, wood cabinets, stainless steel appliances, granite island and recessed lighting. Master suite has an elegant custom entryway with a resort style bathroom and a his and her large walk in closets. One of the bedrooms upstairs besides the master bedroom comes with a full bath. The backyard is generously sized and has been professionally landscaped, which is perfect for BBQs and entertainment. The community has a swimming pool, spa, and a play ground. The home is also centrally located near schools, parks, dining areas, entertainment, shopping and much more! Make it a point to see this beautiful home before it's gone!!" 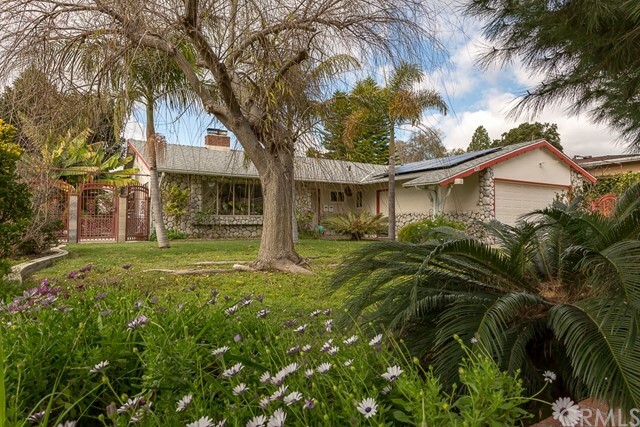 "Incredible opportunity to own a 2-on-a-lot property, north of Whittier Blvd, adjacent to La Habra Heights. Beautifully maintained 3 bedroom 2 bath front house with wood floors, dual sided fireplace, large dining room, updated kitchen, central AC & heat, and an expansive, flat lot with RV parking. Newer construction back house with central AC & heat, gorgeous open-flooplan kitchen with granite countertops and new cabinets, private laundry room, fireplace, private patio and separate entrance. Mature fruit trees and vines produce avocados, tangerines, figs, bananas, lemons, oranges, guavas, and red & white wine grapes. Property has been updated with a newer electric panel and water heater. Leased solar panels save on household energy bills. Finished garage with ample built-in storage." "Back on the market. Have an electric vehicle? . . // Wants to pay few dollar for your electric bill? . . // Wants to see your kids swimming in your back yard? . . . . . . . . . . . . . . . . . . . . . You found the right home. This home has a two year old all paid off Solar panel so that you only pay few dollars for your electricity. Also EV-station for your electric vehicle. Recently upgraded dual panel windows, Laminated flooring. All LED light fixtures. Everything new even house is not brand new. . . . /// Did we mention the location? Good schools, near shopping malls /// Easy living? 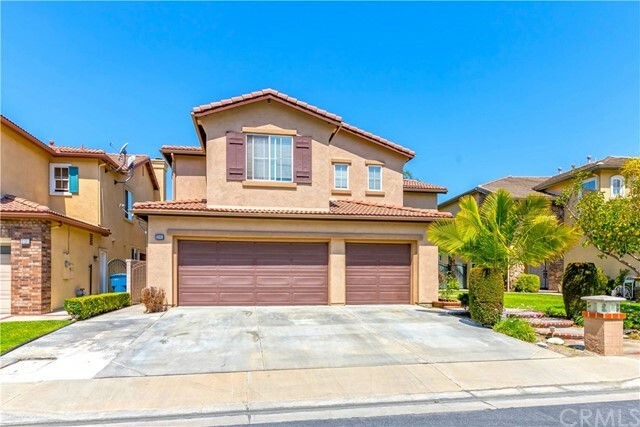 If that is what you want this is the home for you. . . . . . . . . . . . . . . . . . . . . . // CLEAN, BRIGHT, BEAUTIFUL & AIRY // 4 bedroom, 3 bath 2 story, corner lot, tri-level, cul-de-sac home in Fullerton joint union high school dist. //Donwstairs - family room, bedroom, bathroom, laundry room with laundry chute from upstairs additional laundry hookups in garage // dog run; rain gutters; pool & additional entertaining area in back yard; covered patio // large living room window overlooking back yard // copper plumbing and more .... . . . . . . . . . . . . . . . . . . . . . You need to see to appreciate all the features this one has for you." "LOVELY NORTH ORANGE COUNTY EXECUTIVE HOME CONVENIENTLY LOCATED ABOVE THE BASELINE, AT THE FOOTHILL OF LA HABRA BY PRESTIGIOUS NORTH HILLS ESTATES and BORDERLINE BREA == I AM SPECIAL: I Am Sitting On a Large Flat Lot Perfect For Entertaining Family and Friends While Enjoying Some Sort Of Privacy At The Same Time *** LADIES: Guests To Your Special Backyard Event Can Access it Through One of Two Side Gates Without Having to Go In The Middle Of The house *** Major Shopping Centers and Good Restaurants Only Few Minutes Away *** My Floor Plan is Open and Inviting *** The Owner Just Gave Me A New Life, He Has Done Many Upgrades Including New A/C, Furnace and Water Heater *** He Paid Attention To Small Details *** You May Already Know that I have Four (4) Bedrooms and two & Half (2 1/2) Bathrooms And That My Rectangle Corner Lot Is 7800 SF *** What You May Not Already Know Is that I was Built In The Year 1980 And That Your High School Students Can Enjoy Distinguished and Award Winning Fullerton Unified School District *** Your Children Will Enjoy Being Children Enjoying The Company Of Friends And Classmates, You Don't Need To Much Worry About Items Get Broken, Just Come And See For Yourself *** REALTORS: Please see remarks"
"This is the home you have been looking for, 4 bedrooms / 2 bathrooms with 2,170 sq ft. of living space located at the end of a private driveway. This home is move in ready. The open kitchen has been remodeled with white cabinets, granite counter tops, and stylish tile back splash, stainless steel appliances and a walk-in pantry. Dining area is open to both the kitchen and living room with a fireplace and built-in desk. Bathrooms have been remodeled with double sink vanities, jacuzzi tubs and tile showers. Master bedroom is spacious with vaulted ceiling, fireplace and plenty of windows provide natural light and city views. Other amenities include: inside laundry area w/storage, central AC & heating, scraped ceilings, ceiling fans, large driveway for extra cars. Step out in to the spacious backyard with a pool and covered patio perfect for entertaining family and friends. Truly a must see house!" 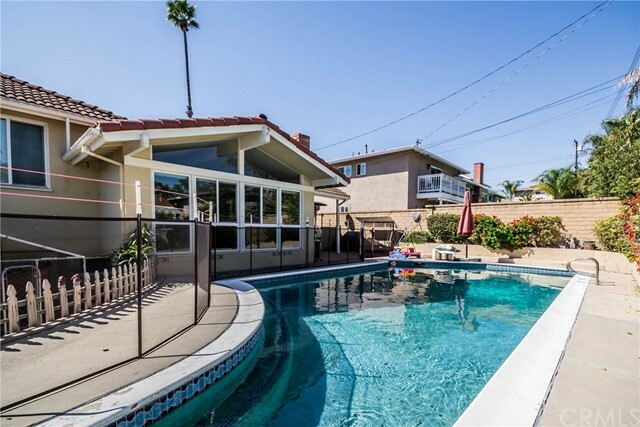 "This La Habra home has a very unique courtyard design providing an airy open nature space within the privacy of your own home! 4 bedrooms and 2 bathrooms in 2,011 sq ft surround this luxurious space complete with a koi pond (home to 6 koi fish and 2 turtles) The Master bedroom is en-suite and has sliding door access to the courtyard. The open floorplan includes a dining and family room featuring a double sided fireplace. The 2nd bathroom opens to the inside laundry area and has direct access to the backyard and pool. 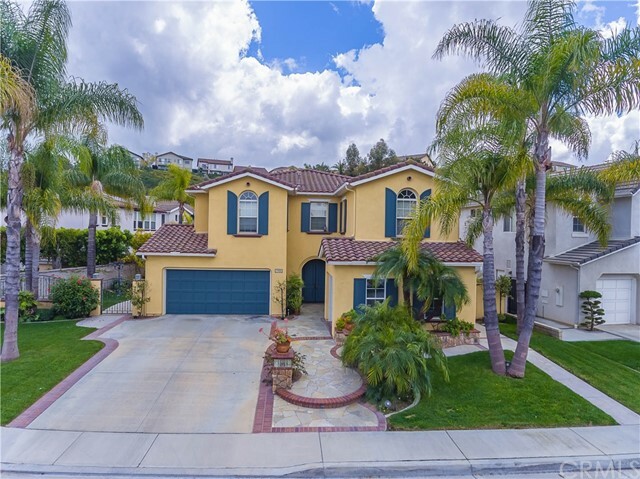 Located on a corner lot in a very quiet, close-knit neighborhood close to shopping, restaurants and award-winning La Habra schools. This home is a must see! 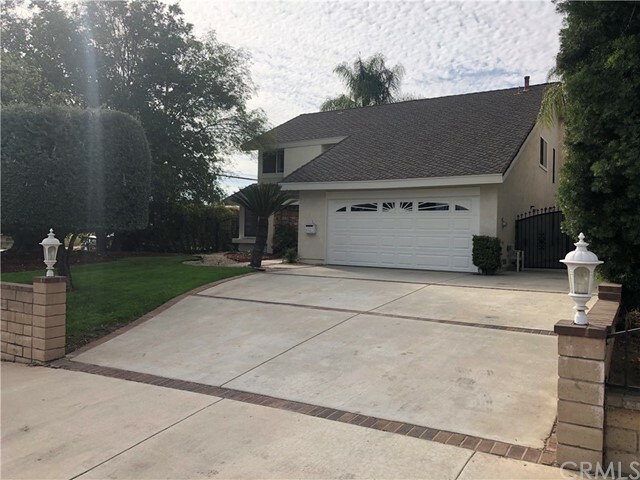 (Please view our 3d virtual tour included in this listing)"
"Beautiful setting in one of the best areas of La Habra, neslted in the hills of the exclusiveCountry Hills East community. Very nice development surrounded by lust mature trees. Three bedrooms and two bathrooms;Fabulous single story home with comfortable layout and wonderful open floor plan with dramatic soaring ceilings. Upon entering you will find a perfectly flowing floor plan with abundance of natural warm light, making it bright and airy. Large formal dining room. Open kitchen with tile counter tops,Bonus enclosed patio with View. Private laundry room, meticulously manicured front yard and back yard, ready for entertaining guests. Direct access to the attached 3 car garage. Very convenient location, close to shopping, restuarants, banks, grocery market, transportation and golf courses."